It's no secret that turmeric has amazing healing properties; in fact, it's one of the most thoroughly researched plants in history. Dating back thousands of years, humans have used turmeric as both a food and a medicine, even using it to cure life-threatening diseases. Researchers at GreenMedInfo, an organization dedicated to providing evidence-based resources to the world, found turmeric to have over 600 potential preventive and therapeutic applications and 175 distinct beneficial physiological effects. Click here for a downloadable PDF of medically researched data regarding turmeric. Turmeric is an ancient spice traditionally used in India that gives curry its yellow color. It not only is tasty but contains highly effective compounds with medicinal properties. The most beneficial compound in turmeric is curcumin, which is also its most active ingredient, offering strong anti-inflammatory and antioxidant effects. A research project conducted by GreenMedInfo found that turmeric is capable of replacing a variety of conventional medications designed to treat various conditions including plaque build-up in arteries, inflammation and oxidative stress in type 2 diabetes, inflammatory eye disease, depression, arthritis and many more. It's been proven to be a common replacement for aspirin or ibuprofen, offering pain-fighting and anti-inflammatory abilities in a more natural way. Lipitor/Atorvastatin (cholesterol medication): A 2008 study published in the journal Drugs in R & D discovered that curcuminoids, found in turmeric, can be used to treat endothelial dysfunction, a condition affecting the functionality of blood vessels. 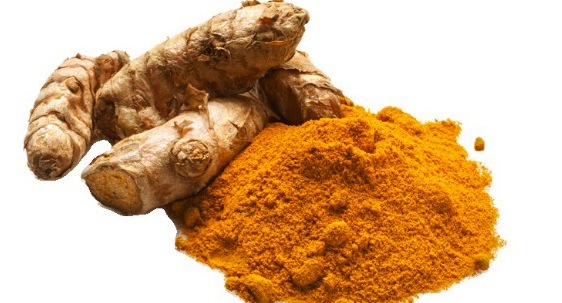 Researchers also believe that curcumin can help treat inflammation and oxidative stress in type 2 diabetic patients. Corticosteroids (steroid medications): A 1999 study published in the journal Phytotherapy Research found that curcumin can treat chronic anterior uveitis, an inflammatory eye disease, similar to the way steroids are used, but in a safer, healthier fashion. Another study found that curcumin can act as an alternative therapy for protecting lung-transplantation-associated injury, working similarly to the corticosteroid drug dexamethasone, but without the side effects. Prozac/Fluoxetine & Imipramine (antidepressants): A 2011 study published in the journal Acta Poloniae Pharmaceutica found that curcumin worked in treating depression, potentially capable of replacing psychotropic drugs like Prozac. Aspirin (blood thinner): A 1986 study published in the journal Arzneimittelforschung (Drug Research) found that curcumin has "anti-platelet and prostacyclin modulating effects compared to aspirin," and might be capable of treating patients prone to blood clots and requiring anti-arthritis therapy. Anti-inflammatory Drugs: A 2004 study published in the journal Oncogene found curcumin to be an effective alternative to drugs like aspirin, ibuorofen, anti-inflammatory pharmaceuticals and tumor-cell-fighting medications. Oxaliplatin (chemotherapy drug): A 2007 study published in the International Journal of Cancer discovered that curcumin could be used to treat colon cancer, potentially replacing oxaliplatin. Metformin (diabetes drug): A 2009 study published in the journal Biochemical and Biophysical Research Communications found that curcumin might be valuable in treating diabetes and increasing glucose uptake. Researchers think that it may also be capable of suppressing glucose production in the liver in patients with hepatocellular carcinoma, one of the most common cancers worldwide. Scientists found curcumin to be 500 times to 100,000 times more potent than the diabetes drug metformin. Overall, the benefits of Turmeric are quite amazing. It's no wonder its been used by humans for thousands of years. If you decide to take supplements containing curcumin extract, be sure to consume it with black pepper containing piperine, an all natural substance that helps with curcumin absorption. Because curcumin is fat soluble, it also helps to take it with a fatty meal.